Amazon EFS provides simple, scalable file storage for use with Amazon EC2 instances in the AWS Cloud. Amazon EFS is easy to use and offers a simple interface that allows you to create and configure file systems quickly and easily. 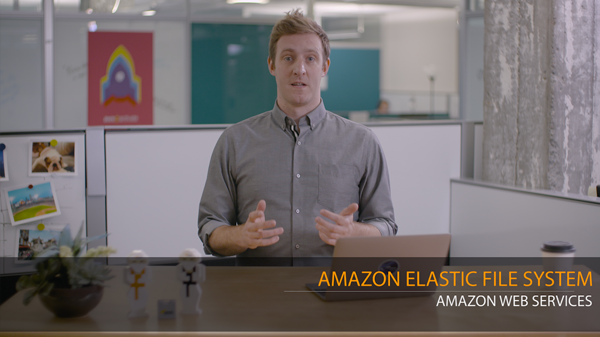 With Amazon EFS, storage capacity is elastic, growing and shrinking automatically as you add and remove files, so your applications have the storage they need, when they need it. For more information about Amazon EFS, read the AWS blog and visit Getting Started with Amazon EFS.